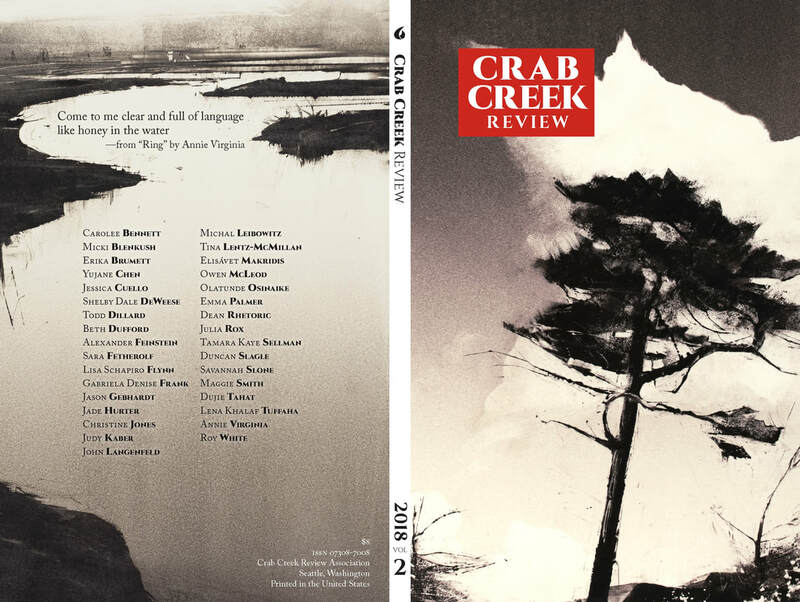 Order your copy of Crab Creek Review's 2018 Fall issue before we run out! This beautiful issue features work by Maggie Smith, Lena Khalaf Tuffaha, Olatunde Osinaike, and others, and also includes the Crab Creek Review Poetry Prize winner, finalists, and semifinalists. In the interview section, Poetry Editor Laura Read and Maggie Smith discuss bringing poetry to a broad audience, the dangers of living in this world, parenting, poems of place, and disrupting the narrative. Artist Wendy Orville created the two gorgeous monotypes of Washington State landscapes that grace the journal's cover.